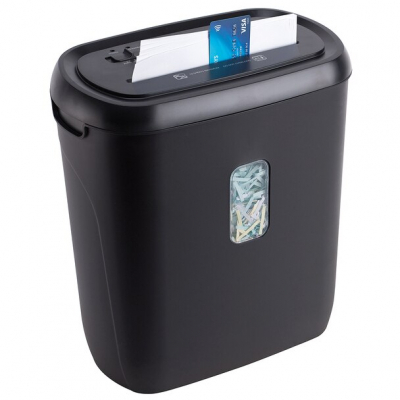 A good reliable shreddrer, which is capable of fairly heavy usage in short bursts. A little bit on the noisy side and the design means that removing the paper bin usually results on paper falling out onto the floor; a bit of a pain. Described as a clear Best Buy by Europe’s largest consumer watchdog organisation, the 1000XC is robust and quick to shred. A reverse function enables jams to be cleared with ease.